Happy Tuesday folks! 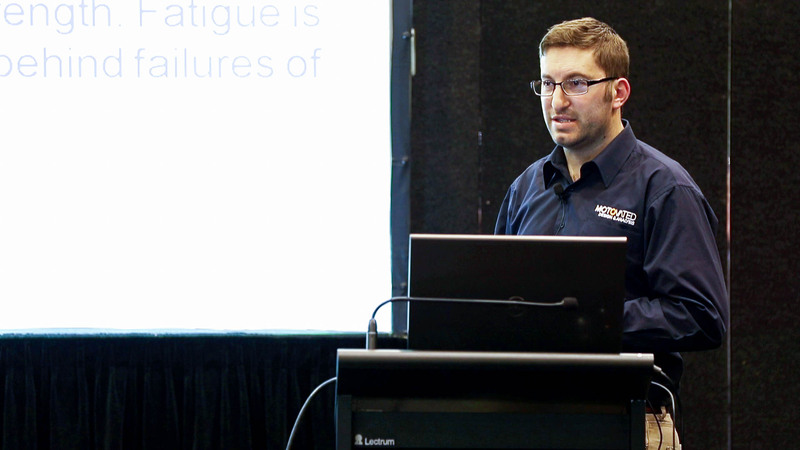 Our GM, Leon Daly, will be presenting at this year's National Maintenance Engineering Conference on Thursday in Rotorua. Leon will be presenting a paper on "How to reduce the risk of your part cracking by a factor of 10 – A Better by Analysis Approach". NMEC benefits from NZ’s topmost leaders in maintenance engineering, as they discuss critical maintenance and reliability challenges of today. The event is happening at the Energy Events Center in Rotorua. You can find all the details about the event below. The presentation follows Motovated's "Better by Analysis" approach, and provides insights into what affects fatigue life of components and simple measures to rectify it. Leon also sheds light on his experience with working alongside Kiwi Rail on developing the P11 Kiwi Rail passenger bogie. The presentation will be happening on Thursday, the 15th of November 2018, at 12:05 pm. We're looking forward to seeing you there, so feel free to stop by, say hi, and have a chat with us! ⟵Is the run-up to Christmas going to be busy? – Get Motovated Engineers to help!